Victoria Wei has over 18 years of experience in the transportation and aviation sectors, including with the DOT and the FAA as well as two private legal practices. 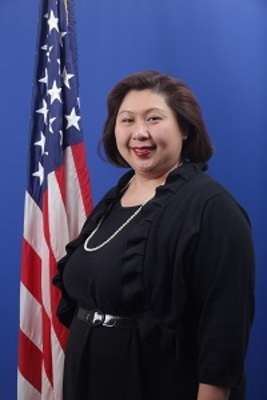 She currently serves as the Deputy Director of Airport Planning and Programming, which oversees the FAA’s programs related to airport and system planning, environmental processing and financial assistance programs, including both the Airport Improvement Program and the Passenger Facility Charge program. Victoria has extensive experience in implementing legislative provisions and programs in a complex organizational environment. She also has a significant background in dispute resolution, budget planning and controls, organizational performance management and employee engagement strategies as well as working effectively with oversight and audit agencies. She began her career as a DOT Honors Attorney, served in the FAA Office of the Chief Counsel, and in the NextGen Office, as the chief of staff and most recently as the Director of NextGen Performance and Outreach, before joining the Airports Office in February 2015. Victoria holds an interdisciplinary bachelor of arts in English and Sociology from Harvard University and a juris doctor from Northwestern University. She volunteers her time as the president of the board of directors of an early childhood education nonprofit, advises the board of an agency employee association, and maintains a voiceover business in her spare time.